Xoyondo::blog - Page 2 of 3 - News and updates about Xoyondo. 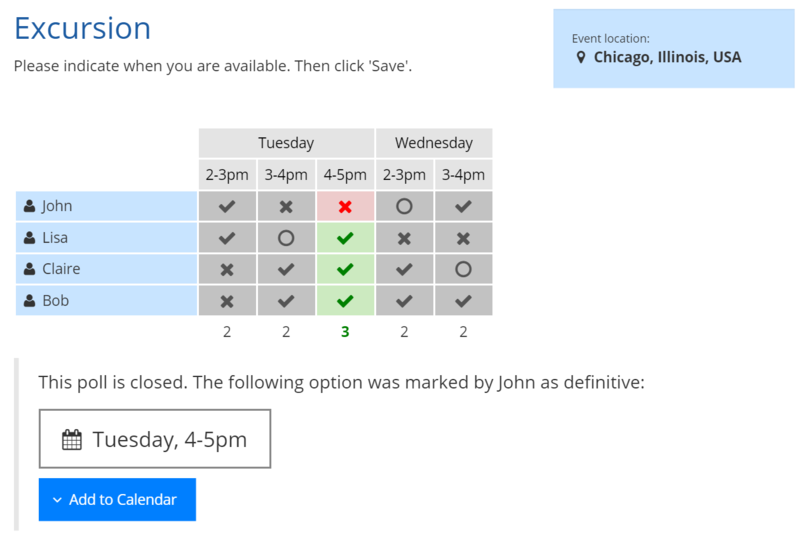 we added a new feature to our meeting polls. 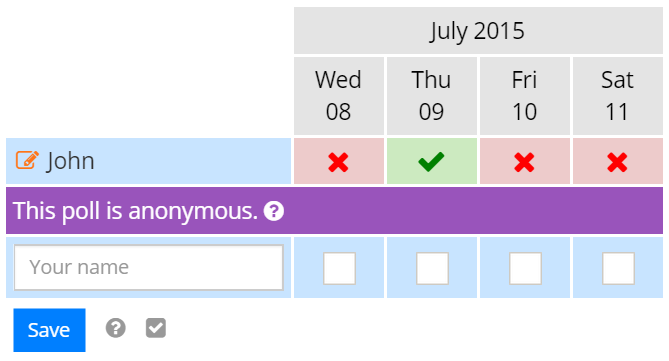 As creator of a poll you can now choose the option “Anonymous meeting poll”. If this option is active the participants in your poll won’t be able to see each others votes. Furthermore the voting result will be hidden. 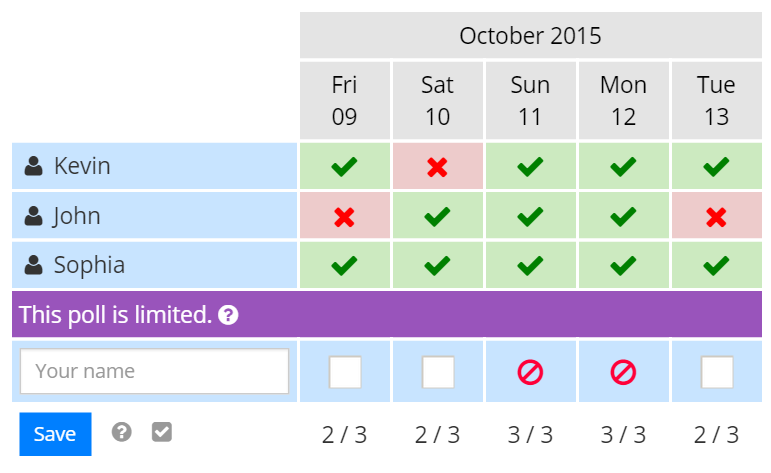 Only the administrator can view and manage all votes in the admin area. It is therefore important to keep the admin-link at a safe place since otherwise you won’t be able to see the voting result. Anonymous meeting polls are useful if you want to keep the votes confidential or if you have a poll with many participants where it is not important that the participants see each others votes. If the participants are invited via xoyondo they will receive a personalized link to the poll. In this way they can easily modify their vote from different devices (PC, Laptop, Tablet, Smartphone). After voting in a date- or opinion poll every participant has the possibility to obtain a personal link to the current poll. In this way the vote can be modified from different devices. You can now add a personal message to the xoyondo invitation emails. The administrator of a poll can now edit and delete comments. 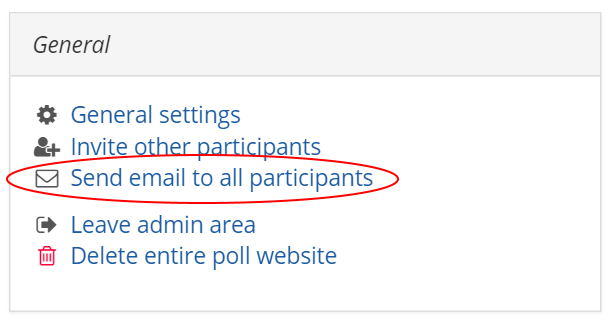 It is now optional to enter an email address when creating a poll or a message board. If the email address is not provided the corresponding links to the poll or message board and administration area have to be saved manually! If you have question or remarks, please contact us via Facebook, Twitter or email. You can also leave a comment on this page.